Terrence (Terry) Gordon Aulich, teacher, politician, writer and lobbyist was born in Bathurst, New South Wales, on 5 October 1945, the eldest of four children of Tasmanians Gordon Joseph (Baron) Aulich, a linesman for the Tasmanian Hydro-Electric Commission (HEC), and his wife Beverley, née Gofton, assistant council clerk. He attended state schools at Scottsdale in north-eastern Tasmania, completing his secondary education at Scottsdale High School and Launceston State High School. In 1966 he graduated as a Bachelor of Arts from the University of Tasmania and trained as a teacher. Aulich travelled overseas, taught English and history at schools in Australia and the UK, worked in a Sydney wool store, laboured, and drove an ice-cream van; he was also involved in film-making, script writing and compering for radio and television. In August 1969 he married Gillian Rose Manning, a teacher librarian; they had four daughters and a son. By the early 1970s the family had settled at Latrobe, in northern Tasmania, where Aulich was senior English master at the local high school (1972–76), a reserve grade Australian Rules footballer and a member of the Latrobe Municipal Council (1976–81). Noted as a 'forceful debater' and 'the most promising backbencher', the 33-year-old Aulich, one of a generation of ALP Young Turks, was promoted to the ministry by Premier Doug Lowe after being re-elected in 1979. Over the next three years Aulich was responsible for a number of portfolios: Administrative Services (August 1979–May 1980); Industrial Relations and Manpower Planning (August 1979–May 1982); Primary Industry, the Environment; and Water Resources (December 1979–February 1980); Construction (May 1980–July 1981); the Arts (Sept 1980–July 1981), and Education and the Arts (July 1981–May 1982). Lowe later wrote that Aulich's 'maturity' was 'remarked upon by many with whom he had contact, particularly in the difficult Industrial Relations portfolio'. The Labor governments in which Aulich served were increasingly plagued and divided by the proposal of the HEC to dam the Franklin River below the Gordon River. Aulich had seventeen pro-dam hydro-electricity towns in his electorate but wanted to see the Franklin River catchment remain pristine. Together with the majority of members of Doug Lowe's Cabinet, he supported the HEC's less preferred option of a dam on the Gordon River above its junction with the Olga River. In September 1981, against Lowe's wishes, the Parliamentary Labor Party voted in support of a referendum on the subject of the dams. In November Lowe was forced out of the leadership and replaced as Premier by Harry Holgate. Aulich was one of just three ministers who continued to publicly advocate the Gordon-above-Olga dam during the referendum campaign. The referendum, held in December 1981, did not include a 'no dams' option and yielded no clear result. On 29 January 1982 the Parliamentary Labor Party voted fifteen to five to support the construction of a Gordon-below-Franklin dam, Aulich being one of the five dissenters. Two months later, the Holgate Government was defeated on a no-confidence motion, and in the subsequent election in May 1982, Aulich was among the casualties in Labor's devastating defeat. With five children to support, Aulich announced that he would have to sell his home because 'he entered Parliament with little, and would leave with much the same fortune'. In June 1982 the intervention of the ALP's National Executive in the party's demoralised Tasmanian branch threw Aulich a timely lifeline. He was appointed to the salaried position of interim state secretary, holding the post until October 1983, when he was narrowly defeated in a ballot for the secretary's post. He subsequently worked as a part-time field research officer for the Tasmanian Teachers' Federation. In August 1984 Aulich, no longer associated with the left of the party, gained the unlikely support of the Centre Left and Labor Unity factions and was selected for first place on Labor's Tasmanian Senate ticket for the next election. Elected to the Senate on 1 December 1984, he was re-elected at the July 1987 double dissolution election from third place on the ticket. Aulich's Senate term commenced on 21 February 1985 and he made his first speech six days later, stressing his alignment with 'mainstream politics' and 'traditional' Labor voters. He believed that 'a majority of citizens' were unhappy at 'the way in which the political agenda is being rewritten by single issue groups'. He rejected predictions of closure for Tasmanian manufacturing industries made by 'single issue Jeremiahs', and championed Tasmania's 'much maligned' metals processing and wood pulp industries, emphasising the employment they offered. On foreign policy Aulich criticised 'the fallacy of unilateral disarmament and isolationism ... This country cannot exempt itself from the consequences of nuclear war simply by withholding uranium from the rest of the world', or by 'keeping out nuclear ships'. At the time of his election to the Senate, Aulich declared that he did not wish to be considered for a ministerial post. His reasons for doing so were family commitments, and his wish to prioritise Tasmanian concerns. He enjoyed committee work and made a considerable mark in that area, serving on twenty parliamentary committees and establishing a reputation as an effective committee chair. Aulich also chaired ALP Caucus committees on industrial relations and employment, and legal and constitutional affairs. 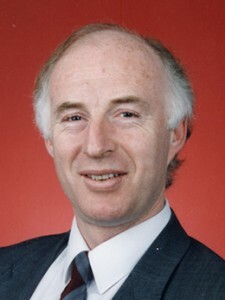 Aulich was a passionate advocate for the proposed national identity card, known as the Australia Card, and he chaired the Joint Select Committee on an Australia Card (1985–86). He believed that the card would be 'an effective, innovative approach to the problems of tax evasion, social security fraud and illegal immigration' and he was bitterly disappointed when a majority of the committee opposed the introduction of the card, recommending instead an upgraded tax file number. The government nevertheless proceeded with the Australia Card Bill 1986, which was twice rejected in the Senate, providing grounds for the simultaneous dissolution of Parliament in June 1987. Following the return of the Labor government the bill was reintroduced but, in the face of flaws in its implementation provisions, ultimately abandoned by the government. A furious Aulich labelled this outcome as 'a victory for tax cheats ... drug pedlars and pornographers'. Aulich chaired the Senate Standing Committee on Employment, Education and Training for six years (1987–93). Under his guidance the committee produced a number of significant reports on subjects such as civics education, adult education, and youth unemployment—which Aulich regarded as 'the biggest problem facing this country'. The most controversial report was Priorities for Reform in Higher Education (1990), which found the quality of Australian higher education courses to be 'less than satisfactory'. According to the report, while Australia was producing graduates well educated in their professions, they were 'undereducated in the broader sense of the term'. In a radio interview Aulich described such graduates as 'skilled barbarians'. The report was also highly critical of the quality of teaching at universities and drew attention to the 'persistence of inequities in access to higher education'. In releasing the report to the media Aulich criticised the Minister for Education, John Dawkins, for concentrating too much 'on the financial aspects of higher education', prompting a stinging response from the minister who described the report as a 'low level contribution' and 'totally useless'. Further, Dawkins denigrated the committee process as 'gathering the shallow observations of unrepresentative people' by senators with 'too much time on their hands'. There were indignant responses in the Senate to these remarks, Liberal Senator Teague describing them as 'fatuous and stupid', and Democrat Senator Paul McLean, defending the 'vital process' of the committee system, describing them as 'shameful and sad'. In 1988 author Amanda Lohrey published The Reading Group, a novel containing a short passage depicting an unattractive, lecherous senator who had published a book of verse, which included a description of a photo of the poet leaning against his Saab—as Aulich does on the back cover of Acacia Road. Despite the senator being unnamed and Lohrey's denials that she had based the character on him, Aulich believed that he had been defamed and launched legal action. In an out-of-court settlement Pan Books paid damages to Aulich and withdrew Lohrey's novel, which was republished in 1990 with the offending passage removed. The late 1980s and early 1990s were a volatile period for Aulich. His first marriage ended in divorce in 1989 and in August of that year he had an altercation with the former husband of Deborah Hamilton, his new partner. Charged with assault, Aulich was acquitted in June 1990, the ACT Magistrate's Court accepting Aulich's explanation that he had acted in self-defence and awarding him nearly $4000 in legal costs. He married Hamilton in the following year. When Prime Minister Hawke survived a leadership challenge from Paul Keating in July 1991 Aulich had voted for Hawke. By the end of the year he believed that Labor could win the next election only if Keating became leader, and he publically encouraged Keating—a friend since the 1970s—to challenge again. Despite Keating's accession to the prime ministership in December 1991, his personal influence could not save Aulich from being dropped to the unwinnable fourth position on the party's Senate ticket for the next election. Aulich acknowledged that, as well as factional warfare, publicity over the withdrawal of Amanda Lohrey's novel and his personal life, together with the perception that he was resident in Canberra (where he owned a house) rather than Tasmania, had provided ammunition for 'the dirtiest campaign I've experienced'. Aulich later commented wryly that 'time ran out. There were no more factions for me to join'. As Aulich's political career waned he resurrected his literary interests. In 1992 he published The River's End, a political thriller based on conflict over the proposed Franklin Dam. The book was launched by Paul Keating. Aulich himself, 'trendily casual', stripped of 'his usual cockiness', makes a cameo appearance in The River's End, trying to shore up support for doomed Premier Doug Lowe at the 1981 Tasmanian Labor Party conference. Defeated in the election of March 1993, Aulich left the Senate on 30 June of that year. He remained in Canberra as a lobbyist, setting up Aulich & Co, a strategic advisory firm; the company's ambit eventually included market research, polling, media training and, through the Australian School of Government Studies, seminars for business and industry groups on the workings of government. Aulich served as executive director of the Australian Council of State School Organisations (2004–08), the Australian Primary Principals Association (2009) and the Australian Institute of Quantity Surveyors (2009–12). In 2001 he explained that lobbying allowed former Canberra politicians to 'still enjoy the world they may have reluctantly given up'. From time to time, he contributed political commentary to the media. In the world of politics Aulich eluded ready classification. Witty, often outspoken, and self-described as controversial, he chafed as 'an ordinary backbencher whose main function in this place is to maintain a quorum'. Gareth Evans farewelled him from the Senate by drawing on the delineation by Labor Senator Robert Ray (Vic.) of Aulich's multiple personas: 'Footballer, boxer, teacher, union official, poet, State Minister, party apparatchik, Senator, novelist ... [and] bulldust artist'. The previous year Paul Keating had characterised Aulich as 'certainly not a pretentious person. He is good humoured and he does like a laugh and he has that mocking style and all the time I have ever known him he has always sent up the personalities around him and has never taken the whole thing all that seriously'. Aulich had serious reflections to offer on his time in the Senate. He stated these at length in a Senate Occasional Lecture given in October 1992 entitled 'Parliament's Last Stand', and he revisited some of the themes of his lecture in his valedictory speech to the Senate. Aulich argued that Parliament's relevance was endangered by 'the increasing power of the executive' through Cabinet, 'party control' through factions and 'the dominance of rigid economic ideology', with senior public servants and their ministers having a shared belief in economic rationalism. He also observed that the 1987 decision to restructure government departments, by reducing the number of ministries and the consequent creation of 'super ministries', had muddied the concept of ministerial responsibility and increased the power of the bureaucracy. Parliament also suffered from 'procedural anachronisms which leave the public bewildered and uninterested'. The prospects for rejuvenation, according to Aulich, lay in adding to the 'potential value' of the Senate committee system, establishing the independence of the presiding officers and recognition by the minor parties and independents in the Senate of their power to initiate reforms. I have never worked with a chairman inside or outside of politics who has such a capacity to forge consensus between opposing views. His understanding of the issues, combined with a sensitivity for the politics of compromise, meant that even the most controversial matters were handled amicably and with good humour by the committee. 'Profile: Senator Terry Aulich', House Magazine, 23 April 1986, p. 3; Advocate (Burnie), 30 June 1976, p. 24, 8 Dec. 1976, p. 8; Mercury (Hob. ), 7 Dec. 1976, p. 7; AFR (Syd. ), 18 July 1981, p. 7. Doug Lowe, The Price of Power, Macmillan, South Melb., 1984, pp. 101, 104–5, 11–8, 148, 169; CT, 13 April 1982, p. 3; Mercury (Hob. ), 24 May 1982, pp. 1, 3, 3 Sept. 1984, p. 8; Examiner (Launc. ), 11 June 1982, p. 5; Australian (Syd.) 18–19 Aug. 1984, p. 16. CPD, 17 Feb. 1985, pp. 214–7; Mercury (Hob.) 3 Dec. 1984, p. 12. 'Dissenting Report' in Report of the Joint Select Committee on an Australia Card, AGPS, Canberra, 1986, pp. 213–23; CPD, 8 May 1986, pp. 2657–60, 28 May 1986, pp. 2877–9, 7 Oct. 1987, pp. 811–12. Senate Standing Committee on Employment, Education and Training, Priorities for Reform in Higher Education, AGPS, Canberra, 1990; Transcript, Channel 9 'Today', 27 June 1990; Transcript, ABC Radio, 'PM', 27 June 1990; CT, 27 June 1990, p. 4; Australian (Syd. ), 28 June 1990, p. 3; CPD, 22 Aug. 1990, pp. 1920–9. Robert Pullan, 'How a Tasmanian poet, English teacher and senator became a killer of books without even noticing it', The Australian Author, Feb. 1989, pp. 4–6; Mercury (Hob. ), 27 Feb. 1990, p. 3; Robert Pullan, Guilty Secrets: Free Speech and Defamation in Australia, Pascal Press, Glebe, NSW, pp. 38–9; CT, 20 June 1990, p. 3. Michael Gordon, A True Believer: Paul Keating, UQP, St Lucia, Qld, 1996, pp.175–6; Mercury (Hob. ), 11 March 1992, p. 4; Age (Melb. ), 11 March 1992, p. 17; CPD, 27 May 1993, p. 1543. Terry Aulich, The River's End, Kerr Publishing, Balmain, NSW, 1992, pp. 182–3; AFR (Weekend Review) (Syd.) 11 Dec. 1992, p. 1; Age (Melb. ), 25 April 2001, p. 13. CPD, 1 Dec. 1988, p. 3364, 27 May 1993, pp. 1505–60, 1594–1611; Prime Minister the Hon. Paul Keating, Transcript of speech at the launch of The River's End, 26 Nov. 1992; Terry Aulich, 'Parliament's last stand', Papers on Parliament, No. 18, Dec. 1992, pp. 71–91. This biography was first published in The Biographical Dictionary of the Australian Senate, Vol. 4, 1983-2002, Department of the Senate, Canberra, 2017, pp. 354-358.